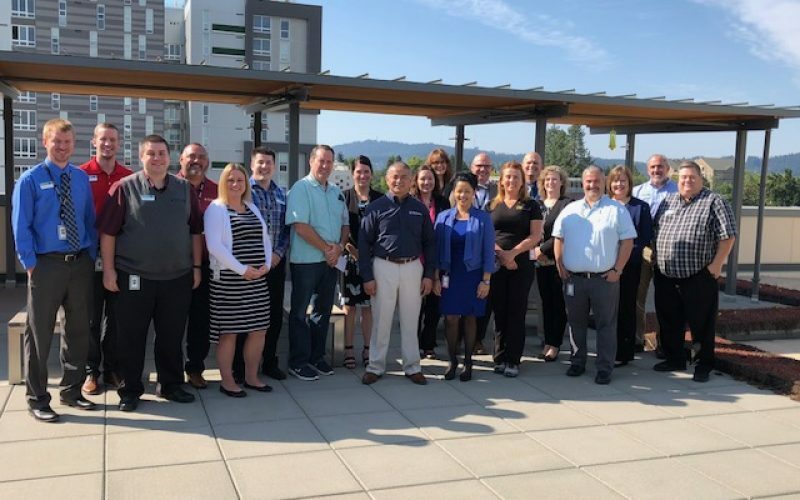 Northwest Community Credit Union closed out the month of August by hosting Oregon State Representative Paul Holvey (D-OR8) at their credit union. Currently, Rep. Holvey chairs the House Business and Labor Committee but is a possible contender for the House Revenue Committee chairmanship in 2019. He is running unopposed for re-election in the 8th District. Over 20 cu staff attended the event and enjoyed the opportunity to discuss issues affecting credit unions in Oregon with Rep. Holvey.